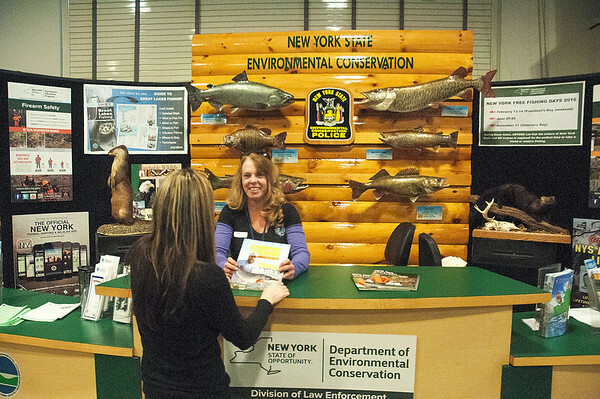 Niagara Falls, NY - New York State Fish & Wildlife Technician Ann Swanson shares information at the Greater Niagara Fishing & Outdoor Expo at the Conference & Event Center Niagara Falls. Organizers said there is something for everyone including food, retail areas and a family fun zone. For more information visit http://www.NiagaraFashingExpo.com.